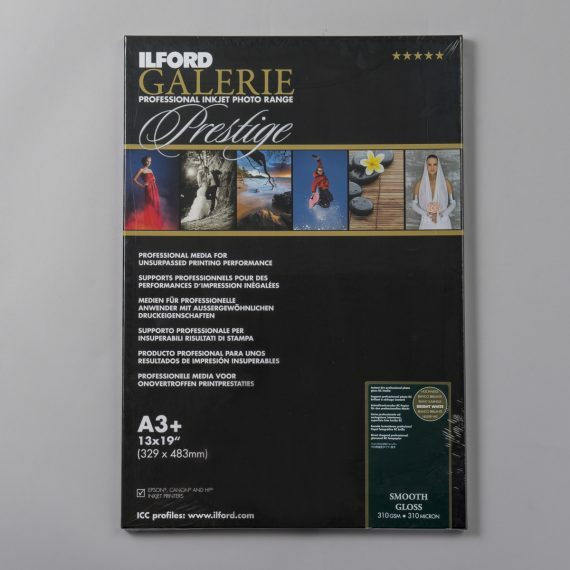 Ilford Galerie Prestige Smooth Gloss 310gsm | Beau Photo Supplies Inc.
Ilford Prestige Smooth Gloss is a 310gsm resin coated gloss finish inkjet paper. Instant dry surface. Excellent compatibility with all good quality pigment and dye based inkjet printers. Beau stocks 8.5×11 and 13×19.